Pestos are a mainstay of my cooking. They are so rich, so vibrant and yet so easy to make that I’ve come up with dozens of variations over the years. This one is a traditional Italian winter pesto that features walnuts and parsley — only I am using wild, or, rather, feral, pecans here. What’s the difference? Pecans are milder than walnuts. Feral pecans are pecans I don’t pay for. I just pick them; there’s a tree in nearby Folsom I hit every year. That said, I also love using truly wild black walnuts in this pesto. Black walnuts are smaller and are far more flavorful than regular walnuts. Most recipes suggest that when you are using black walnuts you cut in half the amount you use. Not here. I want a powerful walnut punch, and this recipe delivers it in spades. Of course store-bought walnuts are fine here, too, as are pine nuts. When I am feeling ambitious, I make my pestos with a mortar and pestle — the texture comes out better that way. But, when I am in a hurry, I just buzz everything in a food processor. Just make certain you don’t accidentally make a puree! Pulse everything, don’t let the motor run on your processor. How to use this pesto? With pasta, of course, or over polenta. Pesto is great mixed into risotto at the last minute, served over white meat poultry or fish, or — and this is my favorite — dropped into a winter minestrone soup, right at the end. I have a few other standout pestos here on Hunter Angler Gardener Cook: A ramp pesto made with young spring onions, a nettle pesto that uses freshly blanched stinging nettles as the green, and an arugula pesto that is my absolute favorite before the weather warms and the arugula gets too bitter. You will ideally want to use flat-leaf Italian parsley here, and for the nuts you can use whatever. Walnuts are traditional with parsley pesto, but pecans and pine nuts are also great. Put all the ingredients except for the oil into a large mortar and grind to a stiff paste. Once everything is pretty well ground, drizzle in about a quarter of the olive oil and grind it into the pesto. Repeat with another quarter of the oil and then another, until you have incorporated all the oil into the pesto. Alternately, you can put everything but the oil into the bowl of a food processor. Buzz the mixture while slowly drizzling in the oil. 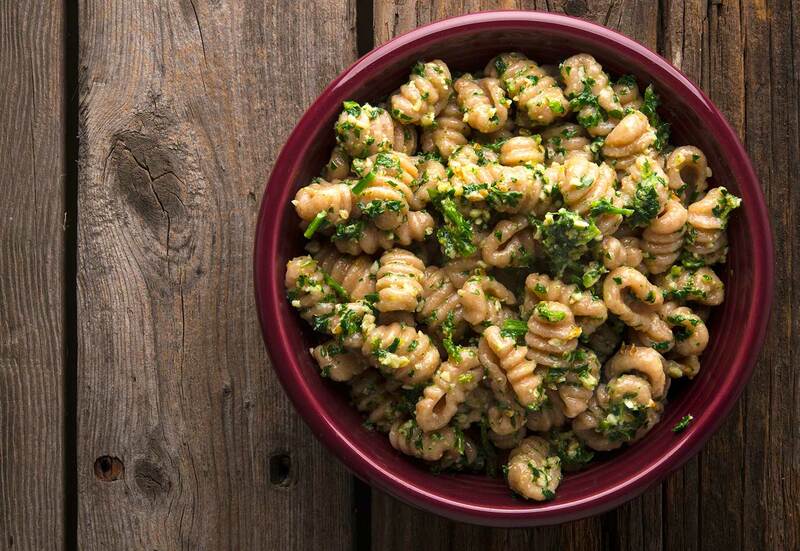 The more oil you use, the more like a sauce and less like a condiment your pesto will be. When the pesto is coming together, taste for salt, and add if needed. 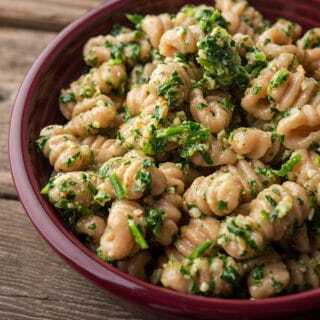 Serve your parsley pesto right away, or put in a covered container with plastic wrap set down right on the top of the pesto to keep out air. This help keeps the color nice and bright. Use within a couple days, or freeze for up to 6 months. Note: If you want to go an extra step, keep the parsley on the stalk and dip it in boiling salty water for 30 seconds, then shock in ice water. This sets the color and will keep your pesto green much longer. 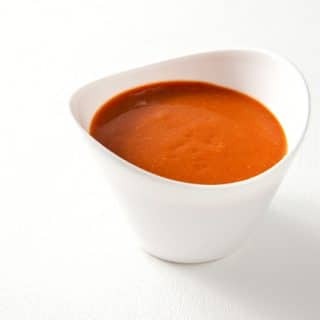 You can find all kinds of sauces for game, fish and pasta here on Hunter Angler Gardener Cook! Invasive garlic mustard, picked young, also makes a nice pesto. Delicious. Just what I was looking for fo rlunch to day! 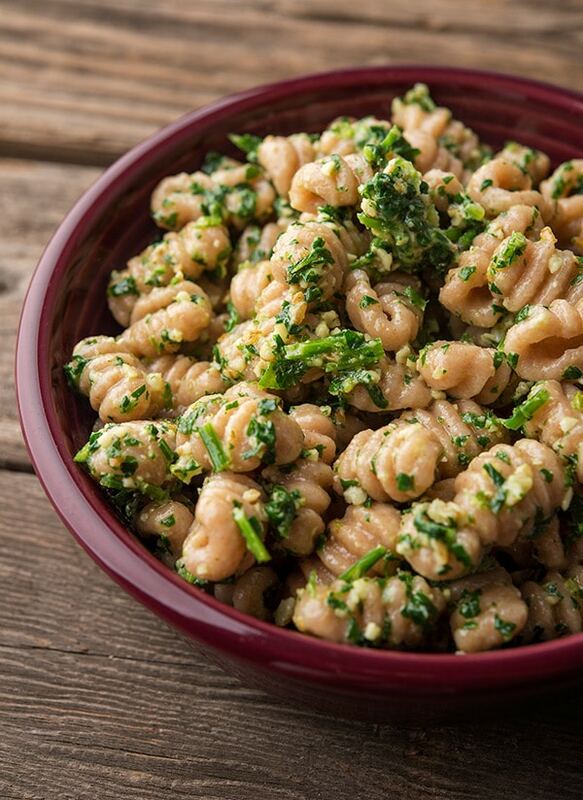 We love pesto! Young wild dandelion greens are also a wonderful green for pesto in early spring. Thanks for all the wonderful info and recipes… your site is quite a resource! Nilou: I never add acid to the pesto, but I do when I serve it. So a squeeze of lemon or lime right at the end. Astrea: Clearly you don’t live in the US. Kosher salt is self explanatory, but in the kitchen we use it because it is free of additives and is a fairly coarse grind. I call for it so that we’re all using the same salt — if you used fine table salt, which often has additives, you’d be adding too much salt because I measure it out by volume, not weight.